Are your passwords under 12 characters long? Are you having trouble remembering all of your passwords? Are you storing your passwords offline right next to your computer? 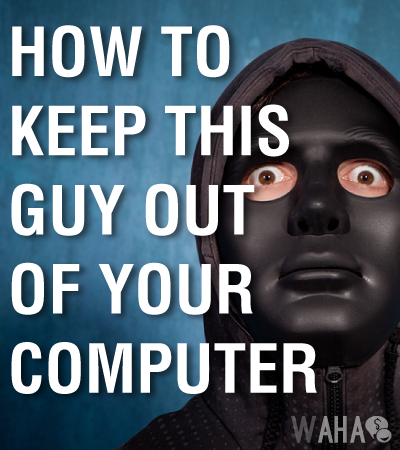 If you answer yes to any of these questions, then you have just unwittingly invited a hacker into your online world. When the Heartbleed bug was discovered in early April 2014, many of us gasped when we were told that just being on the Internet was enough for our PCs and laptops to become infected. Those of us who work at home and spend many hours at a time online were especially at risk for having the Heartbleed hackers steal our passwords and confidential information. What Are Ways of Keeping Our Passwords Safe? The most important thing to remember when securing your password is how secure is it just by the letters and symbols. Are you making the mistake of using the same login and password for several of you accounts? Big mistake. That is one of the easiest ways for a hacker to get your information. Once one password has been cracked, you can guarantee that the hacker will try that same one on several of your accounts. Also, if your password is an easy, common-word password that would make it even easier for a hacker to crack. Ideally, if you want a strong password, it should be a word with upper and lower case letters, symbols, and numbers. Actually, the more convoluted—the better. It is always best to really think about a password before using it. The only caveat here is some sites only allow so many characters (no more than eight) and so many symbols and numbers in that one password. Two great tools for determining how secure a potential password will be are How Secure is My Password and Password Meter. How Secure will take a potential password and tell you about how long it would take a hacker to crack it. Password Meter helps you weigh the strength of the password by giving you a percentage based on several factors listed on their site. When it comes to passwords, remember keep them “long and strong”. According to Alex Horan of Core Technologies, passwords of less than 12 characters are much easier for hackers to crack. He recommends even going beyond 12 characters if at all possible. What Do We Do With Old Passwords? Passwords can always be changed and should be changed on a regular basis. Also, whenever a browser asks if you want to have your password remembered, just say no. My Password is a Secure One, Now What? While no password is ever 100% secure, take assurance that it can always be “more secure” than before. Also, recognize that passwords are just one of many tools available. Never rely solely on a password for your online protection. Regularly run antivirus and malware checks as well as update your operating system and firewalls. As much as possible, avoid links in spam emails or on websites that seem too good to be true. If you have several passwords to manage, you can write them down and file them away, but not too close to your computer. However, caution should even be used here as well. Instead of writing down the actual password try to have it be the answer to a question, such as best friend’s dog’s name plus a symbol. If all of this seems too difficult to implement, then there are password management programs that you can use. What Are A Few Good Password Management Programs? Each of these has both a free version and a paid version. Each time you visit a new site, the password manager prompts you along all the while protecting you while you continue to log in. As you visit your usual websites and blogs, the password manager plugs the already stored passwords into the pages and remembers them for you. Usually just one password acts as the master key to unlock all of the other passwords, which the management program will remember and store. All of these password managers also have mobile apps for on-the-go password protection. Should I Get a Free Version or Paid Version of a Password Management Program? While I have heard great things about all of these four free password management programs—especially LastPass—determine what additional features you might need. to add additional users to the account. to sync all of your devices. While no one is ever totally secure online, we can all take the necessary precautions and use the prescribed tools to better our chances of safe browsing. The safer the browsing, the better the experience. The better the experience, the better we can all continue to work at home and enjoy the work and lifestyle we love. Well hello Leisa, one feature of LastPass I love is its nag pop up which reminds you to change your old weak passwords whether its because you have committed the cardinal sin of password management and used the same one on too many sites or have just used ones that are short and simple.